A rockin' Queen sing-along event with Thomas Crane! It's time to break free and sing-along with Thomas Crane to the rhapsodic, rocking hits of Queen! Thomas Crane made his appearance on Australia’s Got Talent in 2011 making it to the finals as a tribute artist to Freddie Mercury and Queen. Since then his career is taking him around the world touring with his band Bohemian Rhapsody playing the best of Queen and Freddie Mercury hit songs. 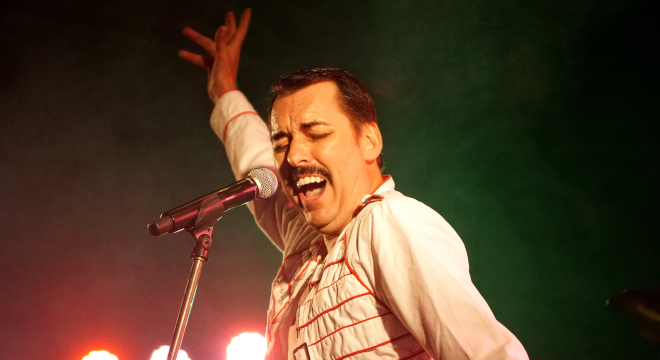 There are many Queen Tribute bands around the world but Thomas Crane is acclaimed as the closest thing to Freddie Mercury and over million hits on YouTube fans can’t be wrong. Thomas Crane looks forward to enjoying Bohemian Rhapsody with you!